My kitchen's the place where I spend the most time. Being a stay at home Mum, if I'm at home (which sometimes isn't that often) you'll find me in the kitchen. Either making or drinking a hot drink, or preparing breakfast, lunch or dinner. Even with just one child it always feels like meal time, or clear up from meal time. It's never ending. If you're a working Mum, count yourself lucky that you don't have that constant waitress service running your day. I can honestly say that sometimes eating out is cheaper, easier and more fun! Let someone else do the preparation and cleaning; just focusing on the eating. Ultimately in a kitchen: I love a bit of coordination. I've also turned into my Mum and like to have a tea towel hanging from my oven door. Double oven darling *coughs*. 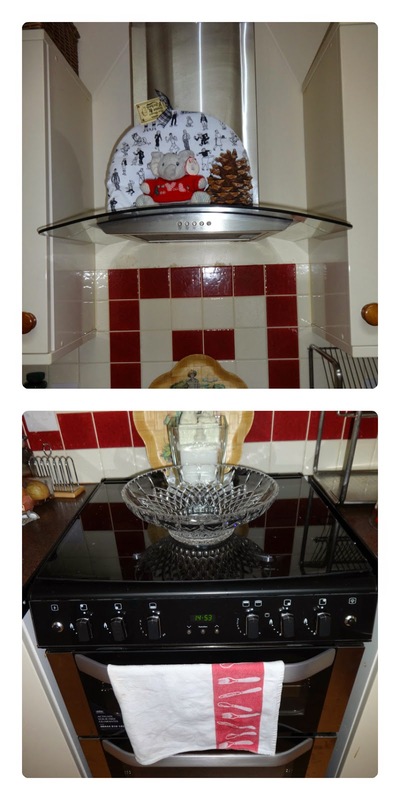 I draw attention to my beautiful Belling cooker as it is the second of two new ones. Luckily I am now happy with this one. I'd highly recommend double ovens and glass lids! Having had NEITHER of them before I am now a convert! 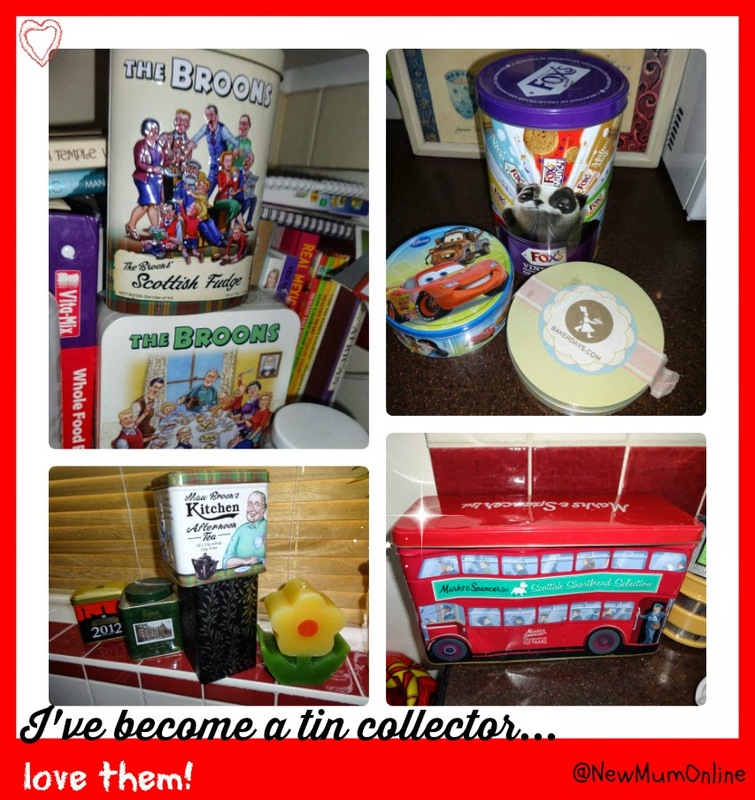 The other thing that would strike you upon entering my kitchen is that I am messy love tins. I haven't purposefully collected them, but acquired them I have and I like to have them on display. It's taken me a long time to realise that minimal is best, but I only do it in certain spots. 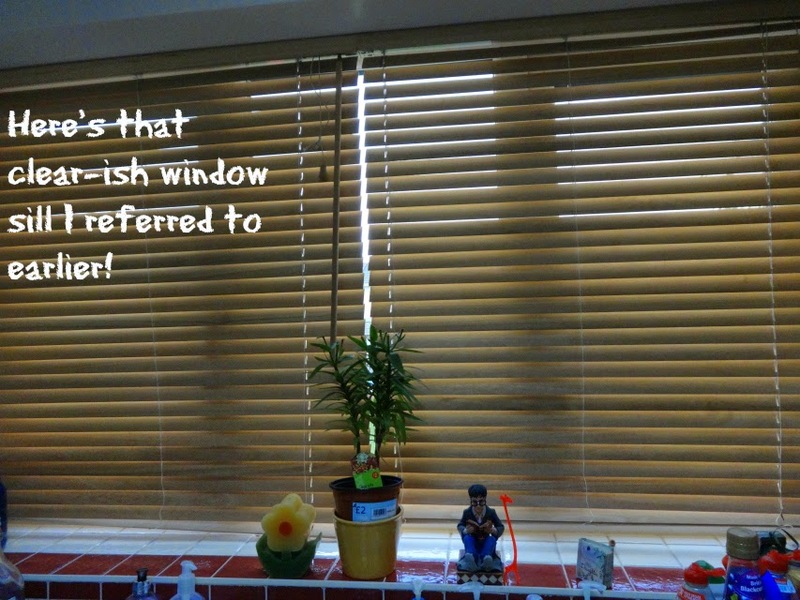 So, for example, window sill is relatively CLEAR as it looks best and is calming that way. My tins however are out, not hidden in cupboards, as is the case for my neglected never used cookery books. I have learned how to put appliances away, (where previously they'd traditionally taken up counter space) so although my juicer is out, my skillet, and my Vitamix are tucked away in the cupboard but very accessible. How timely that the above frame is red, as that brings me onto more coordination. I have a matching red kettle and toaster. Right now as I write this I am on the breakfast bar, but it's too messy to photograph, but only because I am writing two reviews in one day, and kind of let it pile up around me. 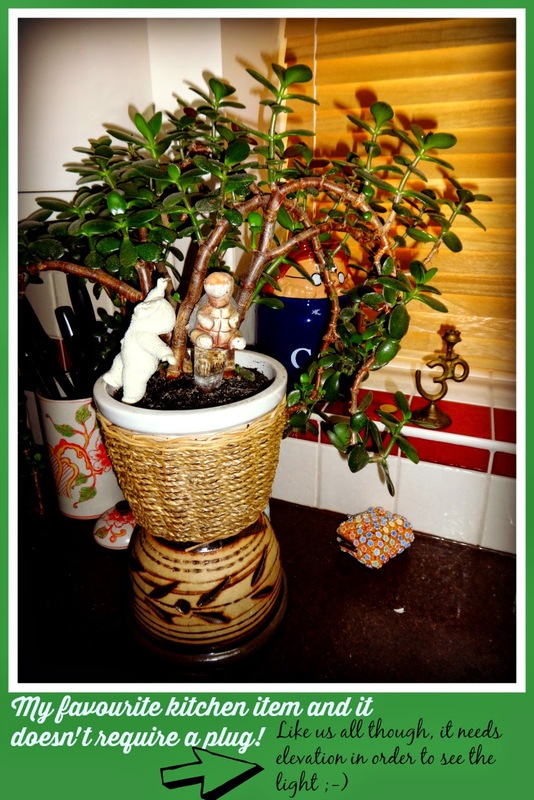 You see that stool in the pics above, well that is what I am sitting on to write this post - I can't recommend it enough. It means Aaron can reach whatever he needs to without "climbing" and it is definitely the safest way for him to navigate the kitchen. 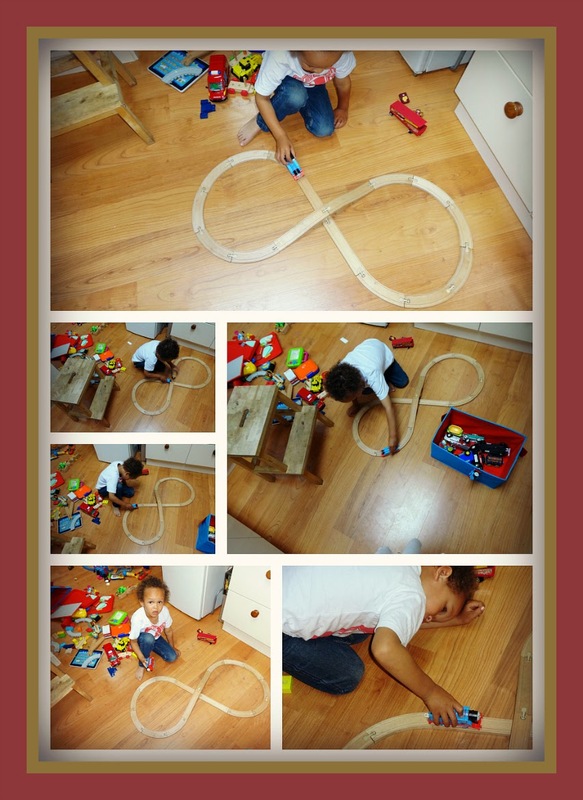 You know what toddlers are like! If you don't provide a safe route to things, they'll make their own way! And.... my favourite item in the kitchen? Now here's the thing. 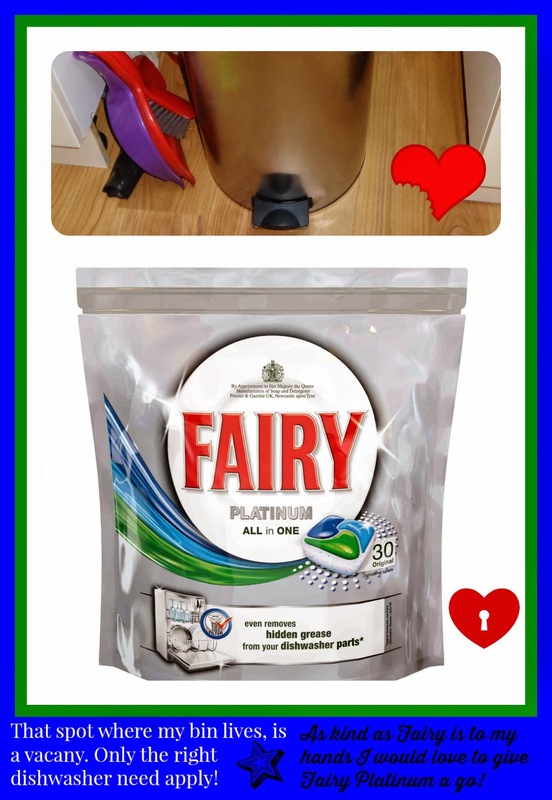 Despite me signing up for some Fairy Platinum I had no idea it was for DISHWASHERS, and if I did, that's me right?!?!? 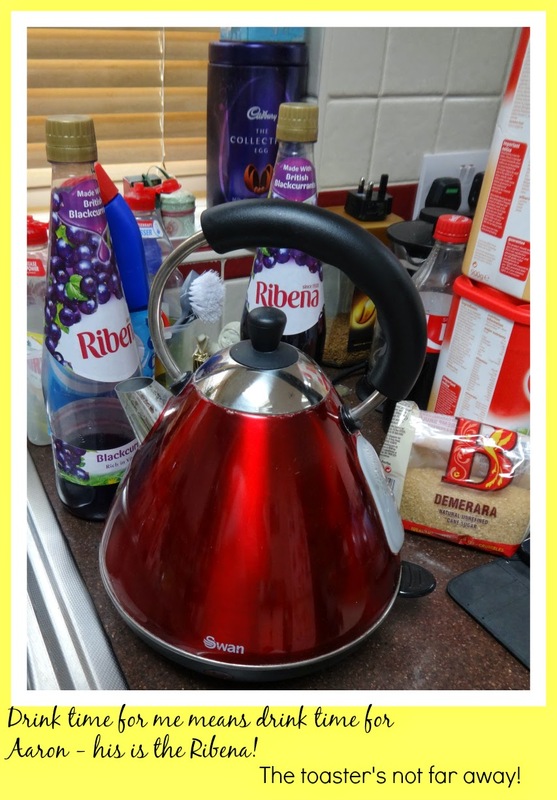 This post is an entry for the My Kitchen Story Linky Challenge, sponsored by Fairy Platinum.